Premium Frame - is on average narrower and has scattered sound and unsound defects. Alder tends to be a light tan to reddish brown; color darkens and reddens with age. There is no visible distinction between heartwood and sapwood. The overall grain pattern is similar to Birch. 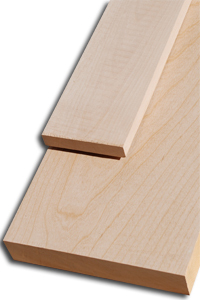 Alder is easy to work with and finishes very well. Typically used for furniture, cabinets, and trim work.